Patagonia has been, right from the beginning a land of adventurous sailors: it is by sea that the explorers who first arrived marveled at this world of fierce contrasts and it is in the sea -literally- where some of its original inhabitants lived. We suggest you to get the best fabulous Patagonian landscapes from the water. 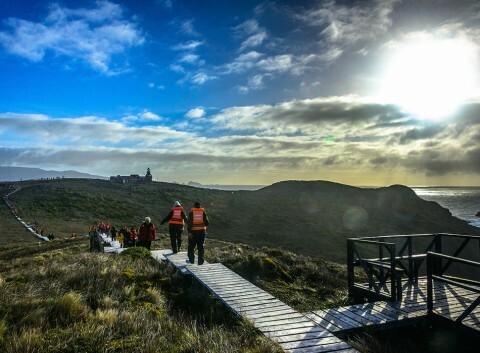 The Patagonian cruises are the inevitable choice on a trip to World’s End. The possibilities are varied: from very comfortable and luxurious boats that ply the fuegian canals to huge expedition ships, prepared to face the eternal ice of Antarctica. 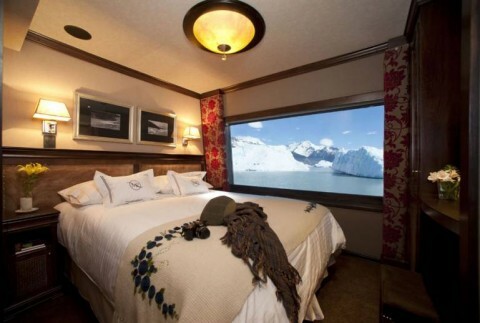 And it is not just only sailing the seas but also inland lakes, in the middle of the Andes, to be able to experience the magic of waking up surrounded by glaciers and or have lunch contemplating the immense walls of the Perito Moreno Glacier right in front of you. There is not a need for a lengthy trip. Cruise tours range from a full day up to 14 days. So read below as there are no excuses! 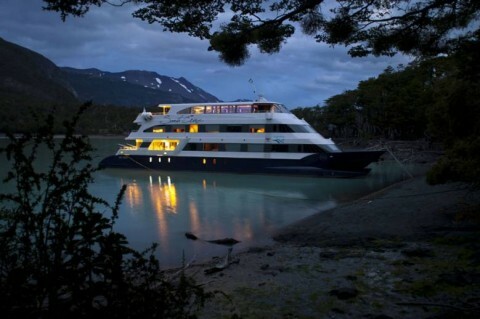 It is one of the most traditional cruises in Patagonia. If you want to feel like the early explorers and navigators who took the challenge of linking the Atlantic and Pacific oceans plying channels and fjords, then this is your trip. 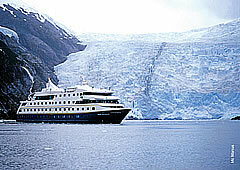 The Mare Australis Cruise, which connects Ushuaia and Punta Arenas, has several possible routes with different duration. All of them run between October and April. During navigation talks and audiovisual presentations are offered for the traveler to know in depth the geographic environment where the sailing takes place. And every day there is at least one shore excursion by the Australis Cruise Group Expedition, with walks through native forests, glaciers and flora and fauna observation. And of course a nice good cup of hot chocolate or whiskey with ancient ices to complete the outing! The Antarctic expedition is a navigation with a duration of 11 days in which you can discover life enclosing the frozen continent, the surrounding islands, the giant icebergs and sea passages that defy Captains and demand the most from ships that dare to face this adventure. Departures are from Ushuaia sailing through the Beagle Channel. Then navigation continues through the Drake passage to the South Shetland Islands and from there to the Antarctic Peninsula. Both in the islands and on mainland landings are foreseen, always subject to weather conditions. 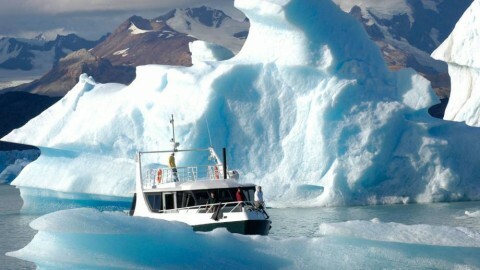 However, the characteristics of the boat make it possible in all cases to enjoy an excellent watching of the abundant wildlife of the Antarctic ecosystem: Antarctic fur seals and southern elephant seals, Adelie penguins, crabeater, Weddell and leopard seals, as well as humpback, minke and killer whales. 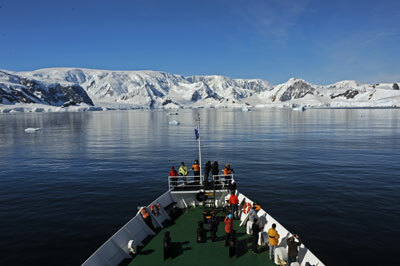 You’ll cruise along the beautiful Antarctic channels such as the Gerlache, Neumayer and Lemaire. The journey is vastly complemented by the talks about the history of the Antarctic Peninsula, its first explorers and heroes. This unique cruise on Lake Argentino offers a fascinating experience known as “The Quest for the Spirit of the Glaciers“. It is a navigation lasting three days touring the very heart of Glaciers National Park to observe its most important icons: the Upsala, Spegazzini, Mayo and worldwide famous Perito Moreno glaciers. This (absolutely different to any other) sailing experience offers the chance to see stunning sunsets and magical, star filled nights in the middle of an unforgettable landscape. The adventure of the “Spirit of the glaciers” includes landings at various vantage points to observe and interpret the characteristics of the place. The whole tour is accompanied by specialized bilingual guides. Marpatag Cruise is much more than a cruise, it is the real experience of being part of nature. And we are not over-hyping it, believe us. 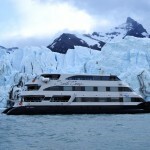 This unique approach is ideal for those who do not have much time but still want to enjoy a Glaciers cruise experience. 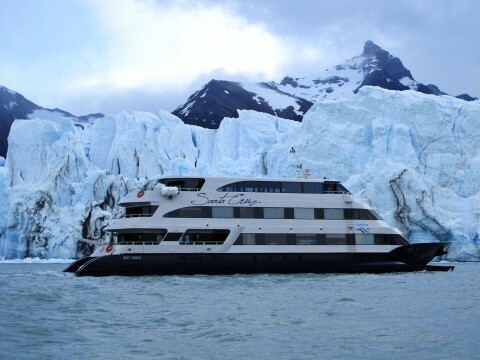 Is a full day aboard the María Turquesa Cruise sailing Lake Argentino to closely observe the Perito Moreno Glacier, approaching the iceberg barrier of the Upsala Glacier and also enjoy a Gourmet Lunch right in front of the majestic Spegazzini glacier. In the afternoon a disembarking takes place in the Bay of Puesto Las Vacas where a coordinated hike is made, led by the interpretation guides, up to the magnificent viewpoints of Spegazzini Glacier.